Got A Great Business Idea? 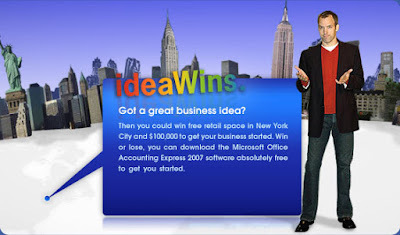 to Launch Your Business Idea in New York City! I think I said this before but as I grow in my Christian walk I become more aware of the fact that I do not live or work in a Christian friendly world. I live in a secular world where it takes money and lots of faith to sustain a ministry. I know that the sponsors of the contest above are probably not Christians and probably aren't thinking about spreading the Word of God, but we as Christians could use this contest as an opportunity to create something that will help build or sustain a ministry that introduces Christ to the masses! Have you seen how powerful one person can be in your community? 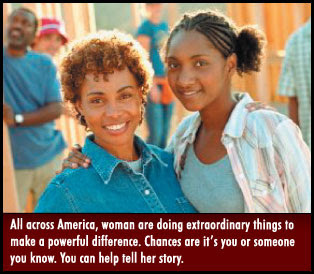 Pine-Sol® wants to recognize the achievement of remarkable women everywhere with the Powerful Difference Awards. Tell about the woman who inspires you. From your nominations, two women will receive a Powerful Difference Award - a $10,000 contribution to the organization or group of her choice and her special story will be featured in ESSENCE magazine. Celebrating Women Who Make A Powerful Difference! "The following is an excerpt from http://www.theyuinon.com/articles/christmas.htm:"
As a child I grew up loving Christmas, I never was taught about the importance of the day. All I knew was Santa Claus, food and family. When I had reached the age of 19, I started questioning the traditions of Christmas and what on earth did they have to do with Jesus. At the age of 22, I started studying Egyptology and Islam. From my studying, I discovered many things about Christmas that wasn’t godly. When I rededicated my life to Christ in 1996, I still had many questions about Christmas. God has been dealing with me for the past three weeks on sharing some insight on this holiday. I know this holiday means so much to many people, but I have to listen to my Father. So as I submit to Him, I pray that this is received in love. I also pray that this article will spark you to question some of these traditions. Some of the information that I share will be referenced so that you can study for yourself (2 Timothy 2:15). I don’t have time to break down everything, so I will try to address as much as possible. When you deal with a subject like Christmas, many people will turn you off before you even say a word. A Christian sister asked me one day, “Why don’t you just fit in?” Also I have been told to, “Pick my battles, this isn’t that serious!” Oh it’s not serious when many Christians every year go into financial debt for this holiday? It’s not serious when many Christian children have bad attitudes towards their parents and God for not getting what they want? It’s not serious when many Christian parents get depressed and discouraged because they cannot afford to buy their children the toys they wish for? It’s not serious when many Christian parents end up participating in illegitimate money schemes to obtain them? You often hear Christians say, “Let’s put the Christ back in Christmas.” Maybe we need to research how Christ got into Christmas in the first place. The only time I hear Christ’s name on Christmas is right before dinner in prayer. If we continue to close our eyes to what’s really going on, the life of Christ will eventually be just a fairy tale. We must stand firm on the teachings of the Bible, not the world. Yeah, yeah, I know, we (Christians) don’t worship pagan gods on December 25th and we (Christians) don’t refer to Christmas trees as gods. The purpose of this article is to get us to think on things we do religiously that are not biblical. Nowhere in the bible is it written that people observed a special day to celebrate Jesus' birthday and or, we today are required to acknowledge Him on his birthday. Where did this tradition come from? Is the origin of this day wicked and ungodly? Here’s an example to ponder: Let’s say Klu Klux Klan uniforms became fashionable in the year 2020, would you let your children rock them? Prayerfully your answer was no, because of what those uniforms once represented. Before we explore Christmas and its’ traditions, let’s first take a look at the day itself. If Jesus was born in the winter, why were the Shepards steadfast in the fields keeping watch over their flock by night? The bible says that there were shepherds nearby in the fields when Jesus was born. Winter in Judea was a cold and rainy season, therefore not permitting the shepherds to abide in open fields at night. So more than likely Christ was not born in the month of December. So who was? Just something to think about. The Prophet Jeremiah condemned the pagan practice of cutting down trees, bringing them into the home and decorating them. Many Christians try and debate that the tree mentioned in Jeremiah 10 isn’t a Christmas tree, and that Christmas wasn’t celebrated during those days. Well to me, that’s not news breaking or a revelation. Every Christian should know that when the book of Jeremiah was written, Christ wasn’t born yet. So for arguments sake, let’s just call it a “decorated pine tree”. Being a partaker in many of these discussions, I went to my Strong’s Concordance for help. Strong’s Exhaustive Concordance/ Hebrew and Chaldee Dictionary Pg. 90 Tree: 6086 – a tree (from it’s firmness); hence wood, carpenter, gallows, helve, + PINE, plank, staff, stick, stock, timber, tree, wood. There are many translations of the word tree in that verse, but only one describes what kind of tree it was. PINE. 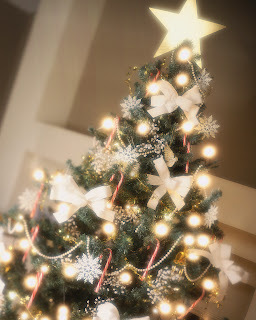 The only pine tree that I know of, that’s decorated with silver and gold, is the Christmas tree. As I stated in the before, the “decorated pine tree” in Jeremiah 10:3-4 was not called a “Christmas tree” and neither was Christmas celebrated during the day of Jeremiah (Jesus wasn’t born yet). When you do an exhaustive study, you will find that the “decorated pine tree” predates the book of Jeremiah, leading to the reason why Jeremiah had to address this serious issue in the first place. Two key figures in the origin of the Christmas tree are Nimrod, a great grandson of Noah, and his mother and wife, Semiramis, also known as Ishtar and Isis. Nimrod, known in Egypt as Osiris, was the founder of the first world empire at Babel, later known as Babylon (Genesis 10:8-12; 11:1-9). From ancient sources such as the "Epic of Gilgamesh" and records unearthed by archeologists from long-ruined Mesopotamian and Egyptian cities, we can reconstruct subsequent events. After Nimrod's death (c. 2167 BC), Semiramis promoted the belief that he was a god. She claimed that she saw a full-grown evergreen tree spring out of the roots of a dead tree stump, symbolizing the springing forth of new life for Nimrod. On the anniversary of his birth, she said, Nimrod would visit the evergreen tree and leave gifts under it. His birthday fell on the winter solstice at the end of December. Listen saints, I never want to major in the minors; every man/woman must act according to his/her own convictions. So if you wanna have a “decorated pine tree” for Christmas, I feel you, do ya thing, but let’s not twist the obvious truth into a lie. The “decorated pine tree” in Jeremiah 10:3-4 was an idol/god to many and was the womb that birthed what’s called today the Christmas tree. If that isn’t enough to make you re-think some things, ask yourself this simple question: What on earth does a “decorated pine tree” have to do with the birth of Christ Jesus? Why didn’t Mary and Joseph receive gifts? Were they upset at the Magi’s? The Bible clearly says that the Magi’s gave gifts to HIM. Not because it was Jesus birthday, but because He was King, praise God! The custom of trading gifts back and forth did not originate from the birth of Christ. The custom of gift giving on Christmas goes back again to the Roman festivals of Saturnalia. It went from very simple items such as twigs from a sacred grove as good luck emblems to food, small items of jewelry, candles, and statues of false gods. To the early Church, gift giving was a pagan holdover and therefore severely frowned upon. This year, test your motives and give gifts to the needy or people who can’t afford to give you anything. Challenge your family to give a sacrificial offering to a church or ministries like the Salvation Army before they buy gifts for each other. Now lets take a look at how we as Christians may have dropped the ball in training our children to not be conformed to this world. 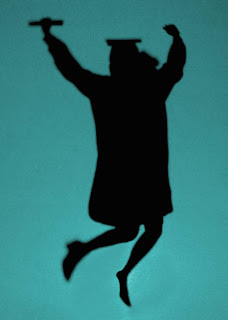 It often blows me away when I hear Christian parents say, “What happened to my child?” “Why do he/she act this way?” “I give them what they want”, “ I take them to church every Sunday.” These are habitual activities that will not necessary produce spiritual maturity in a young person. How can you expect a godly change, when you’re not willing to make a true godly sacrifice? How will your child ever be turned off at things of the world, when you constantly give them negative things that the world promotes? Many Christians every year purchase CDs as Christmas gifts but how many of the CDs are Christian? There are thousands of Christian homes where children have no clue who the Cross Movement is, but under their Christmas tree you will find the latest Eminem or 50 Cent/G-Unit CD. What’s wrong with that picture? The main excuse you hear parents use is, “ If I only let my child listen to gospel music, they will go “buck wild” when they get from under my roof.” That may have been true when I grew up, but now there is an alternative. Now, the quality of Gospel music is better than what the world has to offer. 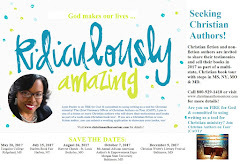 I praise God for Lisa Mac, Corey and Precise, Ramiyah, The Cross Movement, Dawkins & Dawkins, etc. Training requires a sacrifice of our time and love. We as parents have become stumbling blocks and our fear to stand firm on what God has instructed us to do has caused our children to have a “boogie man” prospective of Him. I remember one year my daughter wanted a Bratz doll for Christmas. When I went out and saw what one looked like, I was grieved. First off the word “BRAT” is not used to describe a child of God. Second, the immodest dress of these dolls is very inappropriate and potentially influential. Their “down for whatever look” should alert any Christian parent. It’s already tough enough to raise a godly seed in this generation without “toys” that promote attitudes that contradict Christian values. A toy is not supposed to undermine a parents training. Proverbs 22:6, it says, “Train up a child” not compromise or conform! Training for life is serious and requires discipline from both the teacher and student. We as parents and mentors have to start sacrificing more of our time to train our children to be godly. There are no more excuses! We must scrutinize the toys/music our children select and not let our fear of disappointing them compromise our Christian values. Since “Christmas” is here to stay, the apparent purpose of this day should be about the greatest sacrifice ever made, Jesus. So, this Christmas before you open your gifts, open the Bible and have a 30 min to an hour devotion with your family or friends about the life, death and resurrection of the greatest gift…our Lord and Savior Jesus Christ. He’s the reason for any season! "The text above was excerpted from http://www.theyuinon.com/articles/christmas.htm"
Another one of my cousin's published a book! 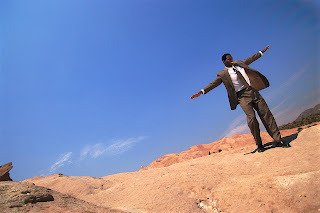 "Delight in each passing moment with author Michael Williams, as he celebrates the trials, triumphs and discoveries of living through his poetry. In the Light of Day is a remarkable collection of memories, messages, conversations and experiences that chronicle life lessons from childhood to adulthood from a father to his children. The verses of In the Light of Day are more than a father’s advice to his sons; they are a man’s hopeful glimpse into a future of promise for all children. It is truly a tribute to the strength of the human spirit, and a reminder to every reader that dreams are meant to be realized, futures are meant to be built and that anything can be accomplished if you believe. In the Light of Day is one of the few books written from a father’s perspective to his children, providing a unique view that has yet to be thoroughly explored in the genre of poetry. 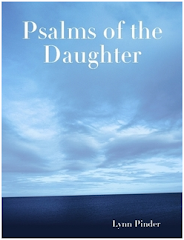 The universality of this wonderful collection of poems lends itself to readers young and old, at any stage in their life, and most importantly, reminds us all that 'It is a miracle that love only remembers what remains in the light of day'." Wow! My favorite poem of the collection is "A Father's Prayer." This is an excellent book, and I'm not just saying this because it is my cousin! I come before you with a special prayer request. 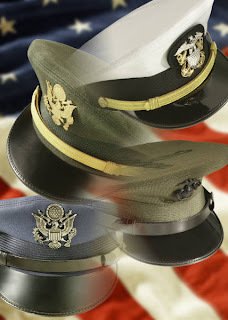 My prayer is for the troops that are in Iraq or headed to Iraq to fight in this vicious war. I ask that you touch their lives, keep them safe, and touch their families. I ask that you prevent our soldiers from dying in vain. I pray for the Salvation of the unsaved, so that they may have eternal life in your Kingdom. I pray for the heads of government, that they are making Godly decisions, as opposed to prideful decisions in terms of the direction of this war. I pray for the families who have loved ones fighting. Please comfort them as they await word on the condition of their loved ones. Help them to put all of their faith in you Lord. All these things I ask in your Holy, Matchless, and Miraculous name I pray, Amen. Bennett College Needs Young Women To Enroll for the 2006 - 2007 Year! The 2006-2007 budget was built on a student enrollment of 580; six students more than that enrolled in fall 2005. This was not an ambitious increase. However, at this time, despite the valiant efforts of the Admissions staff, Financial Aid staff and members of a newly formed Enrollment Management Task force, we still need approximately 100 more students to meet our goal. These students can be new or returning students; but we need these young women to be able to fund this year's budget. The data presented in the following table show the impact of falling short of our enrollment goal for this semester. Even a short fall of10 students will result in starting the year with a deficit of $165,267 which would have to be made up through increased fundraising. Given the current economic climate in the country and our experience in the 2005-2006 academic year, it will be difficult to raise the operating funds for the new budget, let alone having to raise funds to cover the deficit. I am reaching out to you to help us identify and enroll the students needed to meet our goal of 580 for the 2006-2007 academic year. I am soliciting your increased and sustained involvement in thisenrollment effort. Should we fail to make our enrollment goal, the college could very well suffer significant setbacks, including difficulty in recruiting a qualified individual to assume the presidency in June, 2007. In an effort to get you started on this project, I am suggesting that you request time in your churches and social and professional organizations to introduce Bennett College for Women, and to inform them that we are still accepting students to enroll in the fall 2006 semester. I am sure you probably have other creative ways of reaching your friends, relatives and acquaintances with this message, and I implore you to do so. We need every student we can get! Please contact Ms. Bowles or Mr. Hickman once you identify prospective students. They will continue the conversation once the student is introduced to them. I thank you for your usual support and look forward to a successful recruitment effort. Thank you. When you educate a man you educate an individual, but when you educate a woman, you educate a nation. --Johnetta B. Cole, President of Bennett College, Greensboro, NC. Nationally syndicated morning radio host Tom Joyner joined Dr. Marvalene Hughes of Dillard University, Dr. Victor Ukpolo of Southern University, Dr. Norman Francis of Xavier University, and students representing each of the schools at a National Press Conference on December 8, 2006 to announce the "Rebuilding through Education Initiative to Help New Orleans' Black Colleges Impacted by Hurricane Katrina." Tom Joyner announced that he will be promoting this Initiative on all of his syndicated morning programs throughout January 2007 with the hope of raising at least $1 million for New Orleans' three historically Black college campuses (Dillard University, Xavier University, and Southern University) hit hardest by Hurricane Katrina. In August 2005, Hurricane Katrina severely impacted the campuses of Dillard University, Southern University of New Orleans and Xavier University. At that time, Joyner’s Foundation raised more than $1 million to provide $1,000 scholarships to students from the New Orleans’ HBCUs who had to transfer to other schools while the city was under water. Nearly 18 months later, the campuses are at varying stages of rebuilding and recovery while moving forward with their mission to educate their students. Joyner is setting out to help the schools complete the existing repairs and provide financial assistance for students. Since 1998, the Tom Joyner Foundation has raised more than $55 million helping more than 14,000 students at Historically Black Colleges and Universities (HBCUs). The Foundation’s sole mission is to help keep students in school so they can complete their education. For more information on how you can can support this Initiative, contact Neil Foote, the Director of Communications at Reach Media, Inc. via telephone (972-371-5840 or 214-448 3765) or email (neil.foote@reachmediainc.com). Remember, one person can make a difference and that one person is YOU! TAKE ACTION! How many spiritual gifts are there? Who gives the spiritual gifts? What is the purpose of the spiritual gifts? How many gifts do I have? Does anyone have all of the spiritual gifts? How do I use my gifts? What is the difference between talents and spiritual gifts? What are the definitions of each gift? A spiritual gift is a supernatural ability given by the Holy Spirit to a person at the moment of his or her salvation. The Bible lists eighteen spiritual gifts in three different passages. They are: Romans 12, I Corinthians 12, and Ephesians 4. Only God knows, just kidding. We have developed a Spiritual Gifts Discovery Tool to help you figure this one out. Just click the link to start. The Bible tells us to use our gifts in love. See I Corinthians 13:1-13. There are many ministries around the world that need believers with all kinds of gifts. We plan to have a ministries page that will help you find some in your area. Good question. A talent is a natural ability given at birth. This could be anything from athletic ability to musical talent to artistic genius. Talents cannot be used to glorify God unless the Holy Spirit allows them to. The possessor of a particular talent cannot use it on his own power to glorify God if he is not a Christian. If, however, that person receives Christ, the Holy Spirit may then transform his talent into a supernatural gift that would fall under one of the following gifts listed below. The Holy Spirit may also decide to give that person a totally different gift or gifts. This is the spiritual gift where the Spirit empowers particular Christians with a supernatural understanding of God's Word and the will to apply it to life situations. See I Corinthians 12:8, James 3:13-17. A popular pastor known for his work with the homeless died after being shot outside his Maryland church. According to police, the Rev. Milton Leon Moore, 50, was gunned down at 7:30 a.m., Wednesday on the front steps of Warriors for Christ Ministries in Suitland, MD in Prince Georges County. Before the shooting, people inside the church heard arguing outside, authorities said. A neighbor told police he heard at least six shots fired. Other witnesses said they heard an argument before the shots were fired. Another witness said she heard three shots fired and that one of the shots was muffled. Other witnesses on a nearby walking track told police that after hearing the shots, they saw two people run away from the church. Police do not know if those people were involved in the shooting. Police said the married father of four was walking toward the church when he was shot once in the head. Moore was pronounced dead Wednesday afternoon at 4:25 p.m. after being hospitalized in critical condition. Rev. Milton Moore was the Pastor of Warriors for Christ Ministries located in Suitland, MD. The ministry houses a transitional home for homeless families. The transitional home, which opened in the late 1990s, houses up to 20 families and their children. Advocates for the homeless in Prince George's said it is an important part of the county's social safety net and helps people stay off the streets until they can find more permanent shelter. Moore was grieved by other advocates who work for the benefit of the homeless in Prince George's County and Washington, D.C. The Rev. Imogene Stewart stated that Moore's church was an important respite for homeless people struggling to make a new start. "We had a very close working relationship," said Stewart, a homeless advocate. "He was friendly with everybody." Rev. Moore realized the call upon his life at a very young age in Albany, Georgia, where he was born and raised. He began his ministry in the churches he belonged to; he also began to bring forth the word of God in Bible studies, out of which Warriors For Christ Ministries was formed. He has been in full time ministry since February 1997. His bio on the church website stated that Rev. Moore was "training up a body of bold 'Warriors' to go forth, storming the gates of hell, setting the captives free." Rev. Moore was married to the former Eva D. Jackson, his childhood sweetheart. They have four children. Police do not have nay suspects or motives in the case and are asking for the public's help in the search for the person or persons who killed Rev. Moore. Anyone with information about the shooting should call police at 301-772-4925 or Crime Solvers at 866-411-TIPS. Pray for strength and courage for Rev. Moore's family and church family. Pray that this important ministry for homeless families in Prince Georges County is able to sustain itself, persevere, and overcome this horrible challenge. Pray that the killers find salvation and repentance and that justice is done. 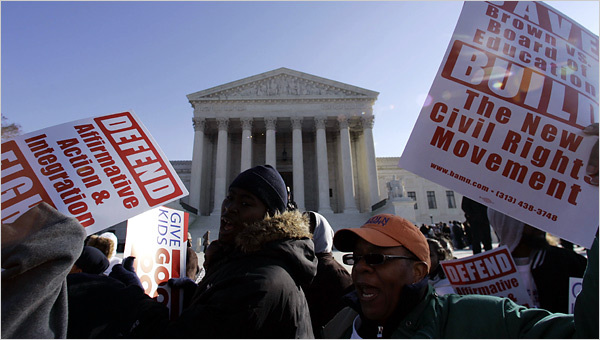 WASHINGTON, Dec. 4 — By the time the Supreme Court finished hearing arguments on Monday on the student-assignment plans that two urban school systems use to maintain racial integration, the only question was how far the court would go in ruling such plans unconstitutional. There seemed little prospect that either the Louisville, Ky., or Seattle plans would survive the hostile scrutiny of the court’s new majority. In each system, students are offered a choice of schools but can be denied admission based on their race if enrolling at a particular school would upset the racial balance. At its most profound, the debate among the justices was over whether measures designed to maintain or achieve integration should be subjected to the same harsh scrutiny to which Brown v. Board of Education subjected the regime of official segregation. In the view of the conservative majority, the answer was yes. While there is no reliable data on how common these plans are, they are thought to be widespread among school districts where residential patterns would otherwise produce neighborhood schools of one race or nearly so. Depending on how broadly the court rules, possibly hundreds of districts would need to modify or scrap voluntary integration plans. The National School Boards Association as well as the Council of the Great City Schools, representing 66 urban districts, filed briefs on behalf of Seattle and Louisville, warning of impending disruption if the justices overturn the lower court rulings that upheld the two plans. The Supreme Court had declined to review a similar voluntary integration plan in Massachusetts last year, shortly before the retirement of Justice Sandra Day O’Connor and the arrival of Justice Samuel A. Alito Jr. But in June, after weeks of internal debate, the justices accepted these two appeals. One was filed by a white woman in Louisville whose son was denied a transfer to attend kindergarten in a school that needed black rather than white students in order to keep its black population at the district’s required minimum of 15 percent. The other was filed by parents in Seattle who organized as a corporation to oppose the plan there, which applies only to the city’s 10 high schools. A racial “tiebreaker,” used when a high school attracts more students than there are places, intends to keep the schools within 15 percent of the district’s overall makeup, which is 60 percent nonwhite. Before the arguments on Monday, the challenge for the school board lawyers defending the plans, along with their allies in the civil rights community, had appeared to be to persuade the justices that the appropriate analogy was not to affirmative action, a freighted subject for the court in which benefits are bestowed on one group and withheld from another, but rather to integration, in which the goal is to educate everyone as equally as possible. But by the end of the tense two hours of argument, that effort had not so much failed as it had become irrelevant. Lawyers for the school systems found themselves struggling, under the justices’ questioning, to meet the even more basic challenge of explaining why the plans should be seen as something different from the intentional segregation that the court struck down in Brown v. Board of Education. “Because segregation is harmful,” Mr. Madden replied. “It’s an assignment on the basis of race, correct?” the chief justice persisted. Justice Stephen G. Breyer let his frustration show in several exchanges with Solicitor General Paul D. Clement, who argued the Bush administration’s position as a “friend of the court” for the challengers and against the school systems in both cases. The Louisville plan, adopted in 2000 as the formerly segregated district emerged from 25 years of federal court supervision, provides that all schools should have a black student enrollment of no lower than 15 percent and no greater than 50 percent. The district as a whole, which includes suburban areas of Jefferson County as well as the city of Louisville, is about one-third black. Mr. Clement said the 15-to-50-percent range was a “strict racial band” that was not sufficiently “narrowly tailored” to satisfy the “strict scrutiny” to which the court’s precedents subject government actions that are based on race. The administration’s position is that those choosing to adjust the racial balance in their schools should do so by “race-neutral means,” like magnet schools that attract children across racial lines. “There’s a fundamental difference between whether or not the policy manages to avoid classifying people on the basis of their race,” the solicitor general said. Justice Anthony M. Kennedy asked the lawyers a series of questions designed to test the outer reaches of their positions. Could a school district deliberately place a new school in a location designed to supply a racially mixed student body, he asked, and appeared displeased when Harry J. F. Korrell, the lawyer representing the parents challenging the Seattle plan, answered no. While his questions suggested that he would not rule out any and all policies undertaken with a knowledge of the probable racial consequences, Justice Kennedy made clear his distaste for the policies at issue in these cases, Parents Involved in Community Schools v. Seattle School District, No. 05-908, and Meredith v. Jefferson County Board of Education, No. 05-915. This prayer was sent to me as part of an email. I completed an Internet search on the pastor mentioned in the email, Pastor Joe Wright, and found that he actually prayed the prayer in 1996 before the Kansas State Senate. "Heavenly Father, we come before you today to ask your forgiveness and to seek your direction and guidance. exactly what we have done. exploited the poor and called it the lottery. Search us O God and know our hearts today; try us and see if there be some wicked way in us; cleanse us from every sin and set us free. Guide and bless these men and women who have been sent here by the people of Kansas, and who have been ordained by you, to govern this great state. Grant them your wisdom to rule and may their decisions direct us to the center of your will. I ask it in the name of your son, the living savior, Jesus Christ. The email explained that the response to this prayer was immediate and a number of legislators walked out during the prayer in protest. The email mentioned that Commentator Paul Harvey aired this prayer on his radio program, "The Rest of the Story," and received a larger response to this program than any other he has ever aired.